You are here: Home / Uncategorized / Why West Coast? Our mission is to preserve human sight and make eye care everyone’s right. WCMEC has been in business for over 20 years providing state of the art diagnostic care. We specialize in SNF’s, ALF’s, and ICF’s throughout the state of Florida. We visit facilities on a monthly basis, but are able to come more or less often depending on your needs. Our examinations are done on-site and we are able to see patients in their rooms and beds if necessary. Knowing how busy your staff is, we provide a doctor and technician who are completely self-sufficient, allowing your staff to continue with their normal duties. We will get the patients when it is time for them to be seen, pull their charts and file our exam sheet before leaving. 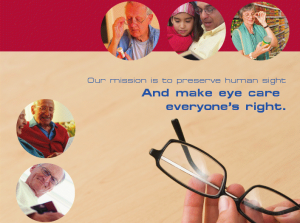 Our services include complete optical care, including glasses dispensing and repairs. All of our glasses are engraved with the patients name, free of charge. We take care of all the billing including private pay. Our team is dedicated to providing you with the easiest on-site services available. Our goal is to make our visit easy and stress free on your staff and patients alike.